Roadside attractions materialized in the 1920’s and 30’s when the automobile hit the market and families began to travel. Created as unique, over the top architecture, these common sites were designed to catch the motorists eye and entice them to stop at a restaurant, motel, or attraction. Some were created as jokes, some as advertisement and some as political statements. The National Park Service even created a lesson plan based on roadside attractions, so you can study up before your next road trip. Sadly, many of the popular attractions have been destroyed, like this alligator that was once the largest in existence, while others are in danger and some like the Corn Palace or Wall Drug, both in South Dakota, are a destination in and of themselves. The downside to this app? It’s only available on ios7 and above so us non-iPhone users (yes, there is such a thing) are out of luck. It has built in maps so you can search along your active route. The downside? This app is still in development so you may come up empty-handed when you’re truly “off-the-beaten” path. Why stop at Roadside Attractions? 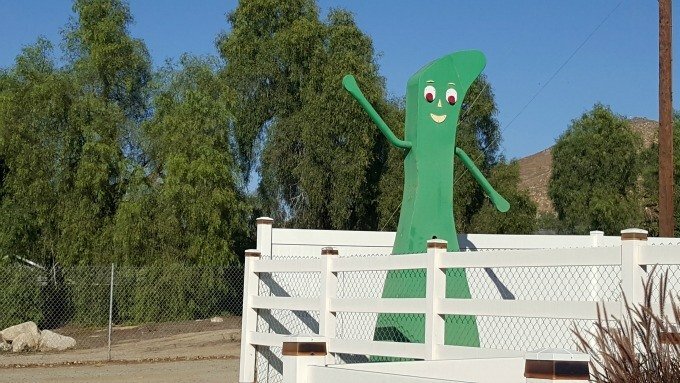 Avid road trippers realize that a fun roadside attraction can lighten the mood of a road trip gone sour. A roadside attraction can stretch a tight travel budget, as many are free. And a roadside attraction can provide you an opportunity to stretch your legs, goof off and have some fun. Hosts of the Travel Coffee Chat Blab, Nedra, Deb and Tonya have visited many roadside attractions and agree that they will drive out of their way, for the right attraction. It may surprise you, but they’ve been known to plan an entire trip just to see one roadside attraction. Guests to the Blab chimed in as well. 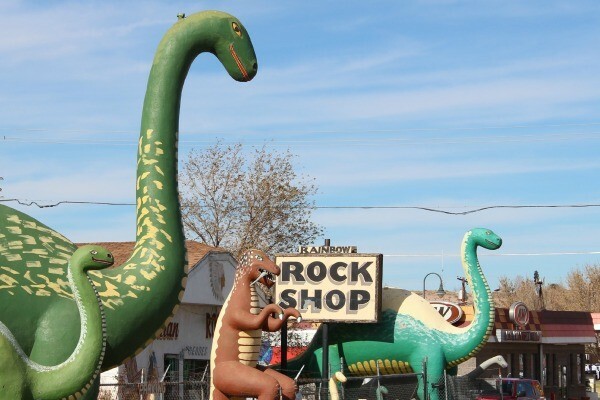 Do you know there are roadside attractions for those that love comics, cars and dinosaurs? I’m willing to bet that you can find a roadside attraction to appeal to nearly any interest. Travel Coffee Chat note: Search #roadsideattractions on Instagram and Twitter and for the best results and the hashtag for the state as well. 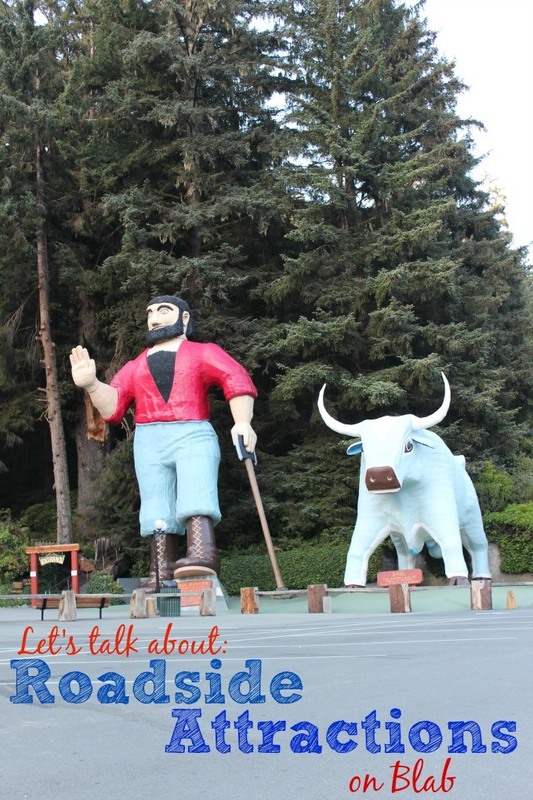 We learned that not all roadside attractions are created equal. Some are…uhm…creepy. The Precious Moment Chapel is not what I would have expected and I’m not sure that a ventriloquist museum is a stop that I’m likely to make. Some natural attractions, like Monument Rocks in Kansas, are a bit of a drive to get to, but so worth the stop. 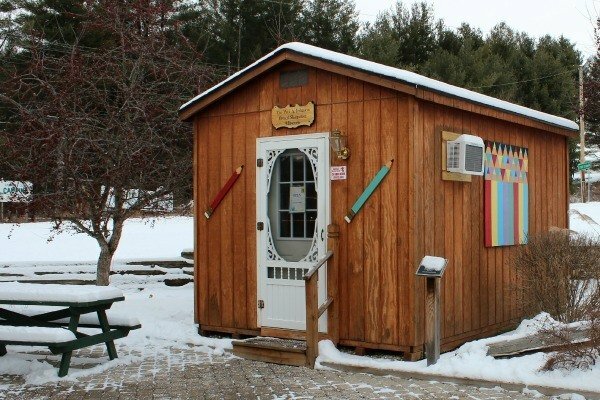 Some roadside attractions like the Pencil Sharpener Museum in Hocking Hills started as a personal collection that is on display for all to see. The Salt and Pepper Shaker Gallery in Traer, Iowa displays more than 15,000 shakers! And Katie from Indy with Kids brought up a good point. 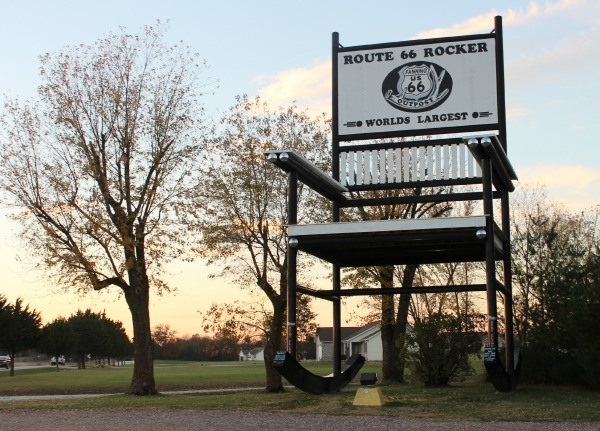 How many “World’s largest” rocking chairs are there anyway? She said she’s seen at least three. Sometimes, roadside rest stops double as roadside attractions, well in Iowa anyway. You’ll find art at the rest stops and the Grant Wood rest stop near Cedar Rapids features a literary theme complete with a giant pen. And Sara from Travels with Sara says the Top of Iowa rest stop is unlike any other rest stop. Here are some of the other attractions that were mentioned. Be sure to click on the link that is provided to learn more about each attraction. The Vandalia Dragon in Vandalia, Illinois is an unforgettable stop. Stop at the liquor store or hardware store across the street to buy a token to see the dragon breathe fire. This is two minutes from I-70 and well worth the stop. Along with the pencil sharpener museum, you’ll also find the World’s Largest Washboard in Hocking Hills. The washboard hangs from a working factory that makes washboards to this day. Each year they host a Washboard Festival. If you want to feel short, Midwest Wanderer says to visit Alton, Illinois to stand by the World’s Tallest Man. At 8’11.1” you’re sure to feel dwarfed. Walking Tourists share some of the many World’s Largest attractions sprinkled throughout the Midwest. FoamHenge in Virginia is worth stopping at twice and if you stop in town, you can meet the artist who created this exact replica of Stonehenge. 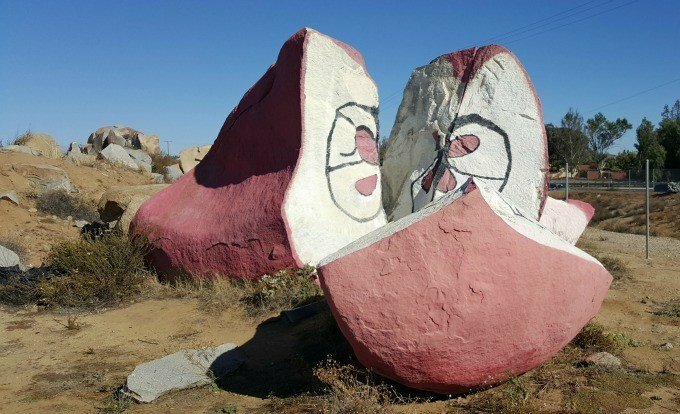 You’ll find several roadside attractions along I-80 that are worth stopping at, including the World’s largest truck stop and favorite roadside attractions from across the US.